It’s not often that I admit to being excited by a new ITIL publication (ITIL Practitioner) – the popular IT service management (ITSM) best practice framework, formerly known as the IT Infrastructure Library. Having passed the ITIL v2 incarnations of the ITIL Foundation and Manager’s courses over 10 years ago, I have since read up on the ITIL v3 changes in 2007 (although a little bit later than that if I am honest) and poked around in ITIL 2011 on its release. But that was all, and I don’t remember being excited. This blog isn’t meant to be a review of the new publication, although you might feel it sails close, and instead talks to what stands out for me in the ITIL Practitioner Guidance book and hopefully the associated new ITIL qualification, i.e. how it will help the reader. I throw in a number of my own tips too. In terms of the ITIL Practitioner book, it’s probably not what you might have expected, i.e. it’s not filled with information on how to directly improve incident management, problem management, or any other ITIL ITSM best practice process. Instead it covers much of the operational, management, and organizational “glue” required not only to adopt ITIL, and/or to improve ITSM maturity, but also to be a well-functioning IT service provider. I hope that this gets reflected here. I know it’s not ITSM “content” nor clarification, but it’s a big part of why the ITIL Practitioner Guidance publication is worth the paper it’s printed on (or the cost of the Kindle version). I can’t speak for Kevin Behr and Lou Hunnebeck, who I don’t know personally, but the quartet of Karen Ferris, Barclay Rae, Stuart Rance, and Paul Wilkinson would not get involved with (nor attach their names to) any publication, ITIL or otherwise, that doesn’t take the ITSM industry forward. So straight off the bat, the ITIL Practitioner Guidance authors instill me with a certain level of confidence. It’s a little like going to an ITSM industry conference and choosing sessions to attend based on the “known” speakers first – you just know that they will be solid bets for quality content without even reading their sessions’ synopses. Tip #1: In today’s world of “information overload” and having too little time and attention capacity, it’s wise to factor in “author reputation” when investing your valuable time in reading available content. You definitely get reputation in spades with the ITIL Practitioner Guidance book. So what did the authors add to the ITIL and ITSM ecosystem by contributing to the ITIL Practitioner Guidance publication? However, when I’d previously scanned through the book’s contents page I thought, and I guess hoped, that this section was something different. That it was instead a shout-out to the original service management thinking of the early 1980s, from before the term “IT service management” was coined and ITIL had yet to be born from the need to rectify the UK Government’s growing list of IT failures. For instance, the book could have referred to the content of the 1984 book “Service Management: Strategy and Leadership in the Service Business” by Richard Normann, which is often cited as one of the foundations of service-based thinking and service management excellence. You might think that this reference to the early 1980s, or lack of, is an odd thing for me to call out here, but I’m convinced that there’s still too many IT or ITSM professionals out there who think that ITSM was born solely out of progressive IT thinking (and process standardization) rather than something that applies to service provision per se. For me, it’s another missed opportunity to emphasize the “SM” over the “IT” of ITSM. Tip #2: While maybe not explicit in the new book, step back from day-to-day operations to consider where your organization sits on a spectrum of “IT provider” through “IT service provider” to “service provider.” You might be a lot closer to “IT provider” than you want to be and maybe also lacking the vision to see beyond ITSM to the true spirit and needs of service management. “Guiding what?” I hear you cry. Yes, it’s definitely a new concept for an ITIL publication and I’d bet it’s down to the book’s authors not wanting to just write “another 200 pages of consultant-waffle” (where more words are somehow seen as better, well at least for the author’s wallet). On the face of it, when viewed as a list of phrases, they might seem a little glib or clichéd; but when you read what they mean, and actually stand for, they provide a lot of insight into what can go wrong when an organization adopts ITIL and, more importantly, how to prevent this. Tip #3: Look out for AXELOS releasing its free PDF overview of the ITIL Practitioner principles more widely. Politely ping Kaimar Karu, Head of ITSM at AXELOS, for a copy if you are feeling too impatient to wait. I think reading it will encourage you to invest in the book itself. Continual service improvement (CSI) is the last, and I bet least read, of the five core ITIL publications in ITIL 2007 and then 2011. It’s an odd one for me – one perspective to take is that “It’s so important that it deserves a book of its own.” Another, probably more realist, perspective is “Heck, there’s 1959 pages in the five ITIL Lifecycle Suite books, I don’t have time to read everything.” And thus the focus on the service desk and incident management, which starts the ITIL Foundation training, then continues with CSI as “something to aspire to” more than to do. Thankfully, ITSM thinking has moved on, even since 2011, when ITSM professionals used to be advised (by ITSM consultants and IT industry analysts) to start their ITSM and ITIL adoption in one of three process-focused ways – incident and problem management, incident and change management, or change and configuration management. Those in the know (such as ITIL Practitioner authors Barclay and Stuart) will now advise starting with CSI, not to mention elements of service strategy and service design as well. Tip #4: In today’s customer-obsessed economy, CSI will happen in your company. The question is whether you will start it ASAP, whether you will be forced to start it later, or whether this will all become a third-party service provider’s problem. 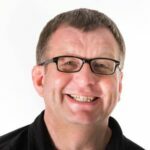 It’s a somewhat flippant point of view but look at the title of Stuart Rance’s CSI blog – Continual Service Improvement (CSI) – The Most Important Service Management Process. Feel free to put your hand down now. The ITIL Practitioner book will hopefully open a few eyes, elevating ITSM metrics from “They are something we have always done but we can’t remember why” or “Yes, we’re very proud to say that we use all the ITIL best practice metrics” to an activity that makes a difference, or, more specifically, an activity with a focused purpose (or set of purposes). To validate. To validate previous decisions. To direct. To set the direction for activities in order to meet set targets; this is the most prevalent reason for monitoring and measuring. To justify. To justify, with factual evidence or proof, that a course of action is required. To intervene. To identify a point of intervention including subsequent changes and corrective actions. It’s a great way of questioning your existing metrics in terms of their purpose and worth. I’m sure that if you do, you’ll find some metrics that offer very little value and aren’t worth the effort of collecting and presenting them to stakeholders. Tip #5: Stop wasting time collecting so much data, and then doing so little with it; instead start doing something positive with a far more focused data set. 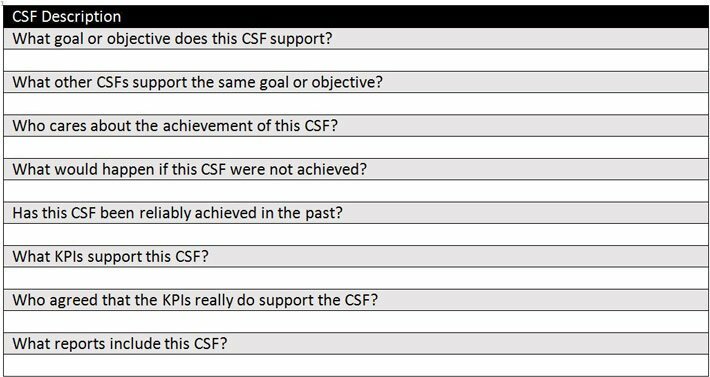 If I wasn’t already excited enough about the CSI and metrics content, it’s great to see the acknowledgement, and advice, that metrics need to change (or even to evolve) over time – even if it is a very short section. I could explain why metrics need to change, but why would I when the following has been crafted by six great ITSM minds, and peer-reviewed by many others, from around the globe. Not doing so is one of my top 13 ITSM metrics mistakes. I wrote this blog four years ago but it’s just as relevant today as it was then. Tip #6: Read my old Forrester metrics blog. I’m confident that it will make you look at your existing ITSM metrics in a different light (and to do something positive about them). Tip #7: If you seriously want to improve – whether that be people, processes, technology, or IT service delivery and support per se – then you have to take OCM seriously. I’d be willing to bet that your last project or organizational change that failed to meet its success criteria was in part hindered by a failure to understand the dynamics of people and their behaviors in change scenarios. The book is filled with practical advice. This includes, for instance, an early section that defines the words that make up ITIL’s definition of a “service.” While not a toolkit item as such, it does however dig deeper into what “A service is a means of delivering value to customers by facilitating outcomes that customers want to achieve without the ownership of specific costs and risks” actually means. You’ll see the underlined words explained through detailed definitions and examples. The following is an example template, recreated from the Metrics and Measurement toolkit section. There’s lots of good stuff here, I imagine taken from the real-life toolkits used by the six authors. However, if I can be a little bit picky for a moment, it would be nice to be able to download the offered templates. As even copying the text from the Kindle edition still leaves the reader with template design work to do. (A quick, post-blog-writing, Twitter conversation has uncovered that these are in the AXELOS pipeline – so look out for them at a later date). Tip #8: Don’t just sit there in an endless loop of reading blogs and pondering a better future, instead create a finite list of the things that you and your team could be doing to improve IT services, operational performance, and business success. In my opinion, the ITIL Practitioner Guidance publication is a good place to start – for both inspiration and support. So there you have my eight stand outs from the ITIL Practitioner Guidance publication. It might seem a little like a review, or even promotional fluff, but this wasn’t my intention. Instead I wanted to point out how the book will help ITSM professionals with their adoption of ITIL/ITSM best practices, including many of the sometimes fuzzier things that are encountered around it. This blog was originally written for Joe the IT Guy. You can check out the original version here. With the consumerization of IT continuing to drive employee expectations of corporate IT, how will this potentially disrupt the way companies deliver IT?